March 4, 1789 was the date assigned by the Confederation Congress for the inauguration of the new federal government. 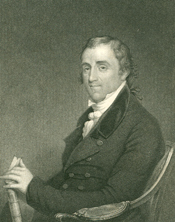 Massachusetts Representative Fisher Ames wrote a constituent that the occasion “was announced by the firing of guns, & ringing of bells”—following which transports of joyful expectation, “we repaired to the City Hall, but could not form an House or Senate.” Ames’s characteristically dry sarcasm needed no elaboration; the sense of anti-climax must have been palpable to everyone involved. Even “City Hall” remained unready, pending its busy re-purposing as the nation’s capitol (soon to be known as Federal Hall). As few as thirty Representatives were required to make a quorum that morning, but a scant thirteen showed up—including only two from south of the Mason-Dixon Line. Senate attendance was statistically higher: eight out of a required twelve members appeared—including only one from south of Pennsylvania (a Georgian who had married a New Yorker the summer before, and resided in New York ever since). Representatives and Senators of the eleven states that had ratified the Constitution continued to straggle in over the ensuing weeks. Five Representatives presented their credentials on 5 March; the next big windfall—in both numbers and talent—occurred on the 14th, when James Madison appeared, with two fellow Virginians. The Senate, demonstrating a zeal perhaps unrecognizable today, sent out dire summonses to their absent colleagues over the next two weeks. Despite these importunities, the unpredictability of eighteenth-century travel, illness, pressing private business, and even tardy elections or election returns continued to hinder members from taking their seats. (In neighboring New Jersey, some polls were still open on 4 March, while even the host state of New York would not elect its two Senators until mid-July.) It all must have seemed eerily familiar: the outgoing Confederation Congress had not even managed to attract enough members to declare itself dissolved when the Federal Congress technically took over. Part 1 of this piece on George Washington’s mysterious 1789 illness. Only after Washington had started down the road of a promising recovery could Smith of Carolina’s father in law, Senator Ralph Izard, finally bring himself to admit the unthinkable: “it would have been a dreadful calamity at this critical time, if he had died.” (849) Representative James Madison agreed, in nearly the same words: “His death at the present moment would have brought on another crisis in our affairs.” (853) No one knew the ramifications of Washington’s death better than Madison who, during those first six months in the House of Representatives, was perhaps the closest that any congressman has come to serving as a sort of Prime Minister to an American head of state. Because of his closeness to the crisis, no one was more candid—or clinical—in naming the threat than Madison. 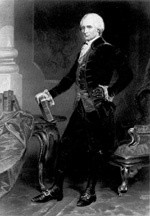 In a letter to Jefferson, who was still far away in Paris, Madison described the boil as a “large anthrax on the upper end of his thigh.” (894) The diagnosis was that of Washington’s personal physician at the time, but the disease unfortunately has all too contemporary a relevance to modern congressional history. If Dr. Bard’s diagnosis was correct, the ulcerous legion was probably caused by a toxic spore from an infected animal or animal product to which his patient may have been exposed through a cut or abrasion—such as Washington, an avid horseback rider, would have been prone to precisely at the site of his infection. 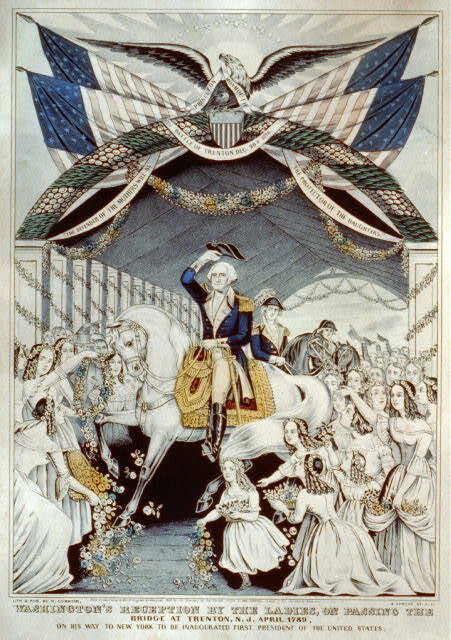 Presidential life didn’t seem to agree with Washington’s immune system: early the next year he was laid low again, and even more gravely, by an especially rabid case of influenza. He survived that too, of course. But by then his contemporaries had already reconciled themselves with the very real possibility that the Constitution might not outlive the first President to serve under it. Instead, we are into the third decade of the third century of the American Presidency—the first centennial of which was celebrated by Washington’s 22nd successor in office, none other than William Henry Harrison’s grandson, Benjamin Harrison.